Did the New French Extremity movement start way back in 2002 with a little-known film called In My Skin? Zach reviews the film and discusses the impact it had on the genre...as well as its significance regarding the current horror landscape of France. Please...have yourself some crème brûlée and check out Zach's review of...In My Skin. Although technically not a film movement in France (where it is still extremely difficult to fund horror films), the New French Extremity “movement” produced movies that will forever go down in horror history, including masterpieces Inside and Martyrs as well as great genre films such as Frontier(s) and High Tension. These movies have, luckily, received the recognition they deserve, becoming well known in the U.S. and various other countries throughout the world by both critics and users alike. These films are brutal, unrelenting, and generally charged by emotion and/or politics. They are not afraid to push boundaries and break commonly held expectations, especially in regards to their female characters and the amount of violence shown on screen. However, although many attribute Alexandre Aja’s High Tension as being the first film to initiate this “movement,” there is one movie that is just as intense/disturbing, or even more so, that slipped under most people’s radars several years prior. 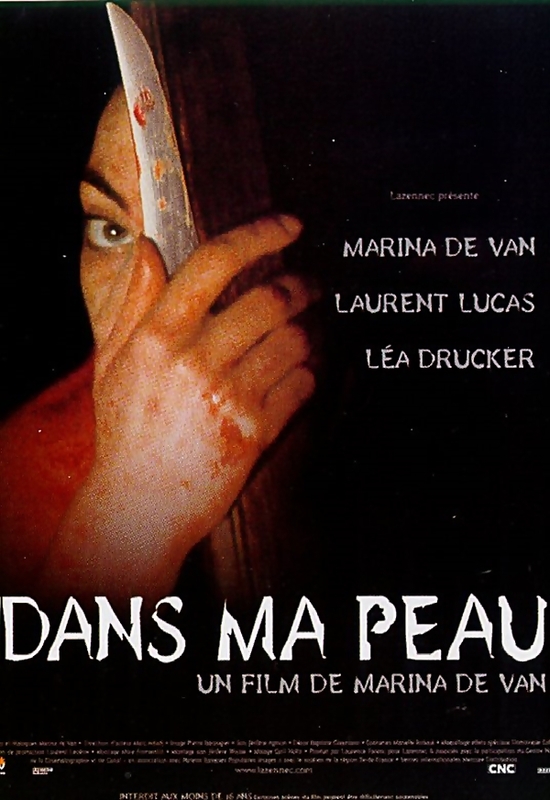 That film is Marina de Van’s In My Skin, a movie that caused quite a bit of controversy when first coming out, largely polarizing people, but never truly finding the audience it deserved, which is unfortunate, because this film is one of the most fascinating and unsettling movies I have seen in quite some time. In My Skin follows Esther (played by Marina de Van herself), a successful young woman who cuts her leg at a party. As the film progresses, she begins to become obsessed with this wound, inspecting it, and digging deeper and mutilating her body, despite the rising success of both her career and love life. ​Marina de Van has certainly crafted a film that will undoubtedly be hated by many. It is incredibly slow, relatively aimless, and unbelievably disturbing. It lingers on scenes for too long, refuses to provide conclusive answers or explanations, and has a protagonist that is cryptic to the audience, and even to herself. And yet, it is one of the most gripping films I have seen in a long time. It is difficult to watch, but impossible to turn away from. It is ugly and painful, but manages to create moments of beauty. The filmmaking is so unique and demanding that it stands out as one of the most audacious movies in recent memory. Like a Cronenberg body mod film, it lets its character and atmosphere build gradually, but never slips into exploitation. It forces its audience to be patient, and requires the viewer to pay attention to the subtle details that are littered throughout. The most fascinating aspect of the film is Esther’s character. She is successful, has a boyfriend that she loves, and comes across as satisfied with her life. Yet, after her accident, this all seems to slip away, as if it never existed. The audience is never provided answers for why she begins to mutilate herself, and in the movie she herself doesn't know. 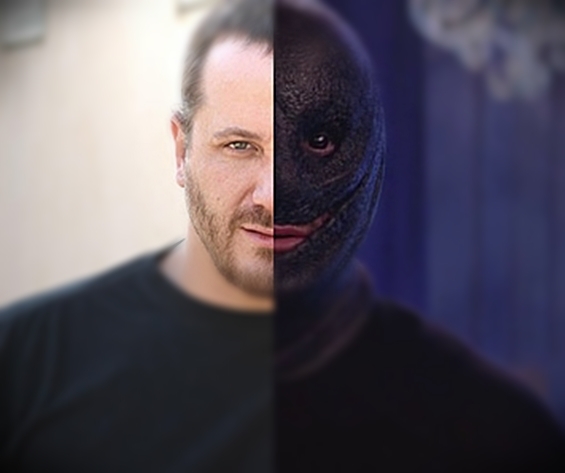 This makes the film that much more unique, even amongst body modification films where there is a clear reason for a character’s actions. This lack of knowledge gives her character a number of layers and complexities that could be discussed and analyzed, from it being a commentary on the scrutiny women are subjugated to in society, to an examination of an individual with a mental illness. The film has been correctly compared to Repulsion, and this is very accurate, as it has a slow build that never compromises itself, and a feeling of discomfort is felt throughout. One of the most impressive aspects of a film of this subject matter for me is the creation of a feeling of dread, and this atmosphere of dread builds through the movie until its tragic and perplexing ending. In My Skin is undeniably disturbing and gory, and yet, as mentioned previously, is never exploitative. Most of the power in its discomfort derives from its unique and effective filmmaking, in which scenes drag out, dialogue becomes unimportant, and shots are juxtaposed next to one another. It creates an atmosphere that is unlike most films of this subject matter, and also proves to be an exhilarating experience from a filmmaker’s perspective. Marina de Van is not afraid to experiment in her film, and while not all of her experimentation completely succeeds, much of it is utterly beautiful and always interesting. In particular, one scene comes across as particularly captivating, in which Esther attends a dinner and literally all of the non-stop dialogue becomes unimportant in light of the disturbing events that develop. Unfortunately, this film failed to truly find its audience. It was released at a time when films like this were not popular (before even the Saw craze and recent body modification revival). If it had been released during this New French Extremism “movement,” it would have certainly received much more recognition, not only because of how extreme and disturbing it is, but also because it (like many of those other films) has a lot on its mind, and a very powerful voice to say it. Plus, it is made by a female director, something that is rare in the horror genre (although this is not completely horror), which is certainly an interesting and new perspective, especially on this subject matter. In My Skin is definitely not for everyone. It is slow, sometimes tedious, disturbing, and you will not leave the film feeling happy whatsoever, but it is fascinating, and (as much as I hate to use this word) brave in its bold filmmaking and lack of conclusions, proving to be one of the most interesting movies I have seen in a long time.